In case you haven’t been outside your house, on a computer or in front of a television, here’s an update you on the current state of events: It snowed. It snowed a lot. And the upstanding humans at JCPenny are here to help. If you head on over, you’ll find an assortment of splendid deals on winter essentials from Columbia. If Columbia isn’t your hypothermic shell of choice, then you still have options. Nordstorm is offering quite a few deals on The North Face, discounting everything from wool socks and down jackets. For all smartwatch dissenters, Amazon is offering up a treasure trove of Nixon timepieces at an indecent discount. If you’re unfamiliar with Nixon, this is the time to get acquainted: Their classic Bond-inspired designs are well crafted, yet refreshingly affordable. 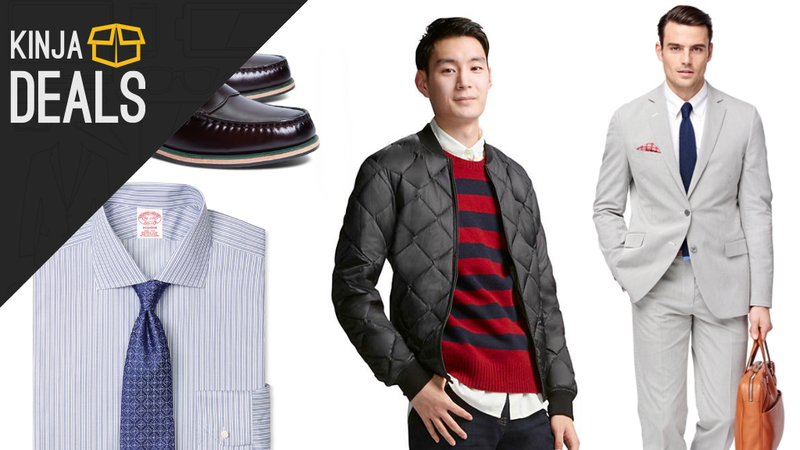 Uniqlo, a beloved Japanese export, is offering their fleece-lined wares at a discount. If you mosey on over, you’ll find $2 socks and $60 cashmere sweaters. If you spend over $108, make sure to use the code LUCKY18 to take off $18. H&M, the all-powerful Swedish retailer, is hosting a big ol’ winter sale. If you’re seeking some affordable pieces to aid you in the imminent transition between winter and spring, look no further. Prices begin at $4.99, but were swooning over motorcycle boots and oversized parkas. Brooks Brothers, a place where responsible adult men shop, is slashing up to 50% on an entire arsenal of responsible adult garments. You’ll find pristine suits, leather loafers, and whole slew of other highfalutin man stuff.